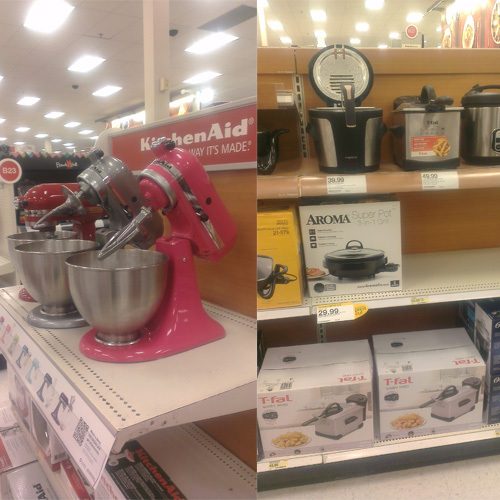 Target Wedding: The Perfect Gift! I'm excited to partner up with Target today and share with you some lovely ideas for wedding gifts! I was asked by the people at Target Wedding to share my take on gifting for a couple with the slogan "Be Yourself, Together" in mind. How fun is this? I had fun as you'll see below! When I think of gifts, I always lean on the side of something extremely useful or something edible. I used my husband and myself for a hypothetical gifting situation. I love the latest, greatest, and most bold item out there and if it's good for you then I probably have it on my wishlist. I also love to bake healthy meals and have been trying my hand at vegan baking lately too. I'm not much of a 'junk' eater as I try to always keep in mind the old saying "You are what you eat." My husband on the other hand is the complete opposite! He has the biggest sweet tooth around and will stay glued to the television when the new show Deep Fry Masters comes on. He's known as the dessert concoction king in our family as he always comes up with sugar loaded goodness whenever we're invited to a barbeque. People expect my husband to bring some unnamed and unheard of treat when he arrives! After searching the shelves of my local Target, I created the perfect gift for the people of the World that are just like us! See below. After doing some soul shelf searching, I created the perfect gift below. The couple can now have the best of both worlds! The husband can cook up his favorite state fair food while his wife whips up her favorite blueberry lemon scones. 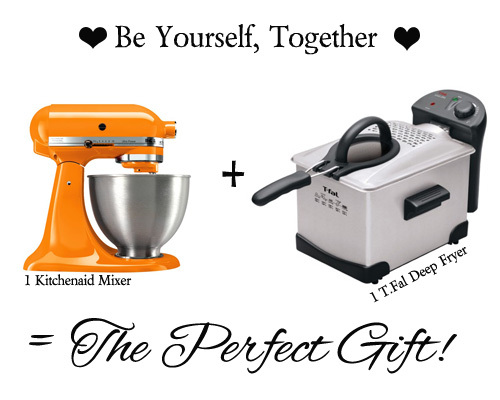 Above is the Kitchenaid mixer in a bold tangerine and a 3 liter deep fryer by T-FAL. The perfect gift! Follow along on this fun campaign or to gain some gift ideas by using hashtag #TargetWedding. This post is sponsored by Target Wedding however all opinions expressed are my own. Wonderful post, and of course <3 Target!! I've seen those in target before! They ARE the perfect gift, I'd love to have one!